I'm a self-confessed fan of comic hero characters turned movie. 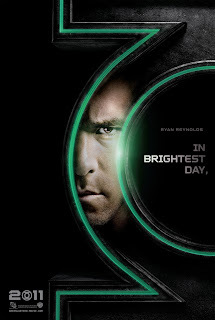 And so, I'm highly anticipating the showing of Green Lantern next year, which stars Ryan Reynolds as Green Lantern. Playing Carol Ferris and Green Lantern's love interest is Blake Lively, the star of TV Series Gossip Girl. Other casts includes Mark Strong as Sinestro, and Peter Sarsgaard as Hector Hammond. The movie is scheduled to be released on July 2011. Green Lantern is a fictional character that appears in comic books published by DC Comics. In comic books, every Green Lantern possesses a green powerful ring that can move any physical object and conjures anything in his imagination at will or simply grants super powers. A Green Lantern is part of a bigger group called Green Lantern Corp. It is a brotherhood sworn to protect intergalactic peace and justice. An enemy called Parallax threatens to destroy the balance of power in the universe, that includes the fate of the Earth. Because of this, they have recruited human Hal Jordan to help them. In the beginning, the Green Lantern Corp. has little faith in humans because people have never harnessed the power of the ring. Hal proves them wrong with the help of childhood sweetheart Carol Ferris. Hal Jordan apparently becomes the greatest Green Lantern. 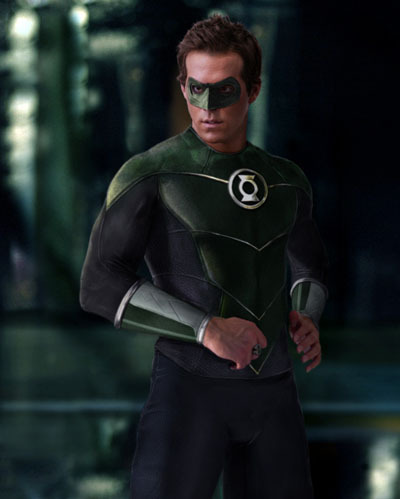 I think Ryan Reynolds will do justice as Green Lantern. Ever since he played Deadpool in 2009 X-Men Origins: Wolverine, I've been expecting to see Ryan in a similar character. As a spin off to X-Men Origins, Reynolds will be portraying Deadpool again in a movie entitled the same on 2012. Another movie to watch out for. Yeah, I'm not a fan of the CGI suit or the mask, but I am definitely looking forward to this again after being initially disappointed.